In a politically-significant development, Kadapa MP and YSR Congress president Y.S. 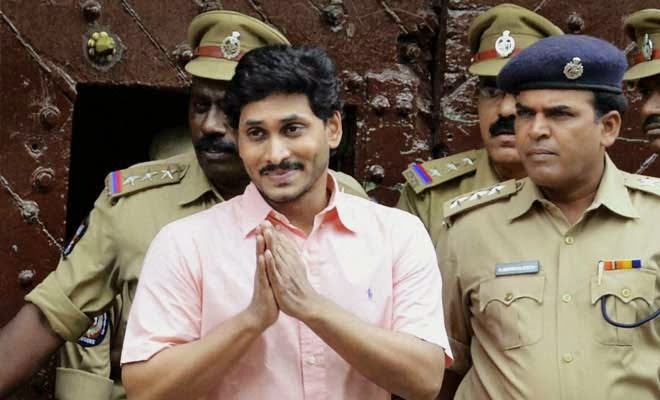 Jaganmohan Reddy was granted bail by the Principal Special Court for CBI Cases here on Monday even as the investigating agency has stated that it could not establish quid pro quo in the case of eight companies. While granting the bail, the court held that the apprehension of the Central Bureau of Investigation (CBI) that the main accused in quid pro quo investments case would tamper with evidence at the present stage was unfounded. In a separate memo filed in the court the CBI stated that it could not establish quid pro quo in the case of Sandur Power, Carmel Asia, PVP Business Ventures, Jubilee Media, Classic Realty & Brahmani Infratech, RR Global, Saraswati Power and Mantri Developers it had named in the FIR. The investigating agency has also referred the matter of 16 “suitcase” companies named in the FIR to the Enforcement Directorate and the I-T Department. Mr. Jagan, who broke away from the Congress in 2010 following differences with the ruling party leadership, was arrested by the CBI on May 27 last year on the charges of influencing quid pro quo investments into his firms. He is likely to be released from Chanchalguda prison on Tuesday after the completion of formalities for his bail in the special court. “The prosecution has not placed any material to show that there is a likelihood of the accused (Mr. Jagan) tampering with the evidence during the trial if granted bail”, the Judge felt. On these grounds it was difficult to accept the contention of the CBI at this stage of the case, the Judge said. On the CBI’s citation of the Satyam case in which the Supreme Court had cancelled the bail of a few accused by taking into consideration the extraordinary facts and circumstances, the Judge said the prosecution had not produced any such supporting material and circumstances and its fear could not be accepted at this stage. The court directed Mr. Jagan not to make any inducement, threat or promise, directly or indirectly, to any person acquainted with the facts of the case, to execute a bond for Rs. 2 lakh and two sureties each for like sum, not to leave Hyderabad without prior permission of the court and to appear before the court on the dates of hearing without fail.